Today, I thought I would share some amazingly talented teens with all of you. My daughter sings with a marvelous group of off broadway singers. Their last show of the season was this past Friday and I got some wonderful pictures of them. They always have a wonderful selection of songs for their performances. This last set was entitled "Rockin' Thru the Darkside". The first act consisted of hits from the 40's to the 80's such as Boogie Woogie Bugle Boy, Mr. Sandman, Jailhouse Rock, I Got You Babe and Footloose; the second act included songs from darker broadway shows such Jekyll and Hyde, Sweeney Todd, Secret Garden and they even recreated the Thriller Dance. 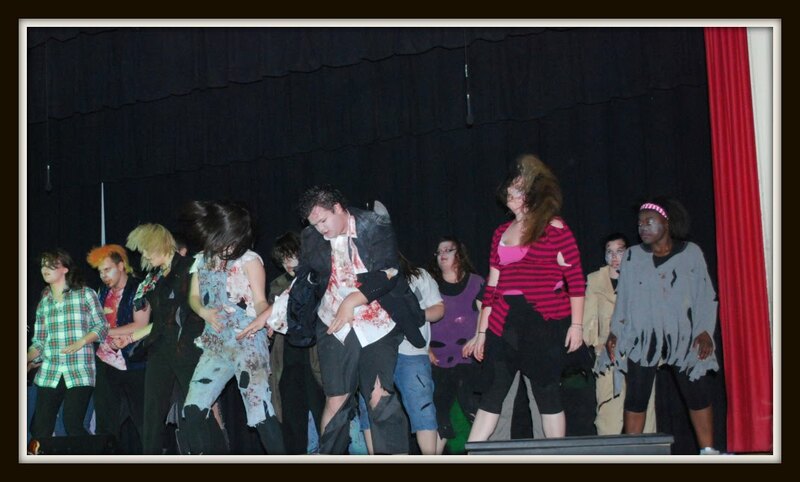 It was an awesome performance from very talented and gifted kids. 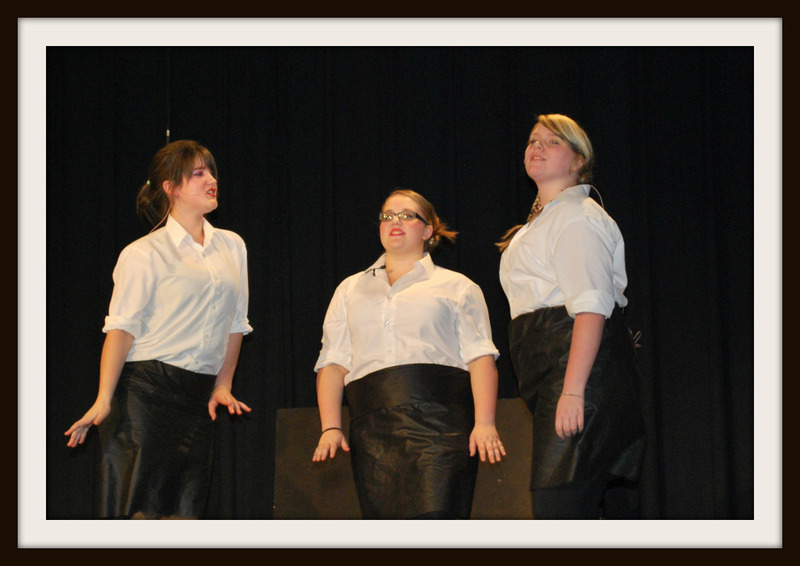 "The Deadly Divas" singing Boogie Woogie Bugle Boy!! 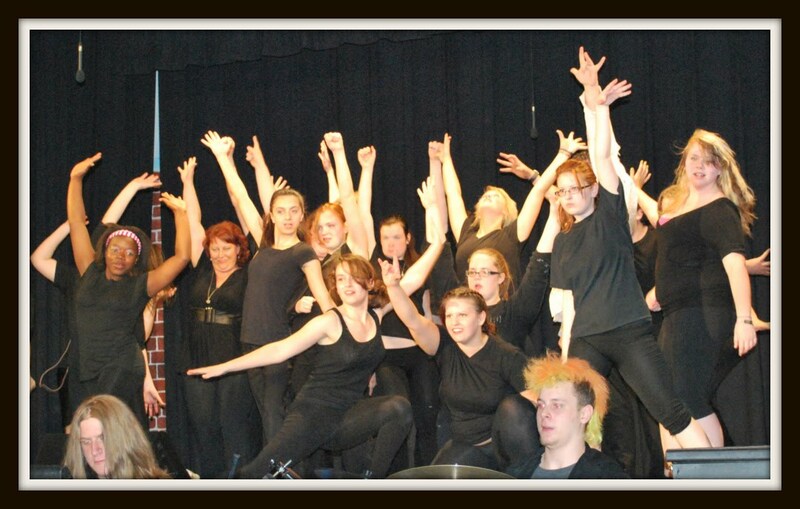 My daughter is in the middle, hehe!! 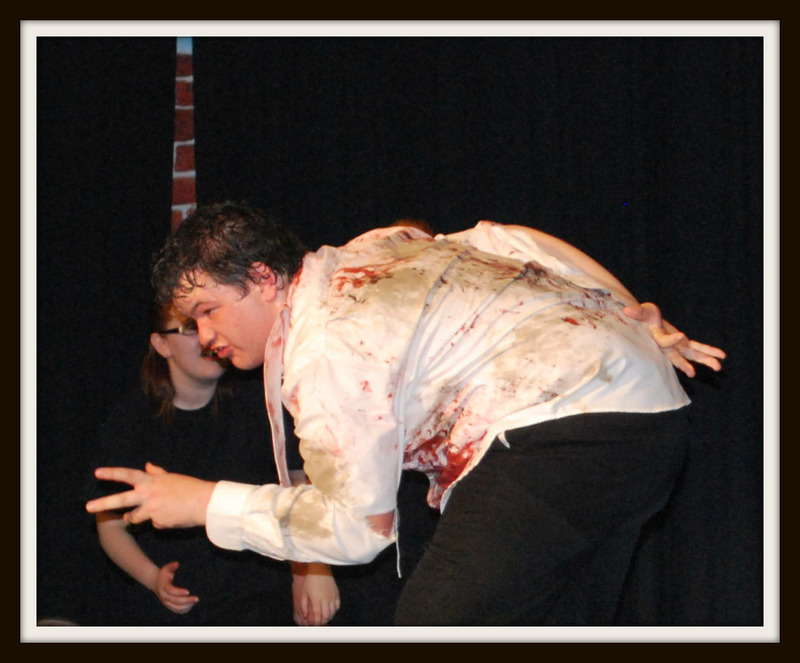 A thrilling performance of "Jekyll and Hyde's Confrontation"!! 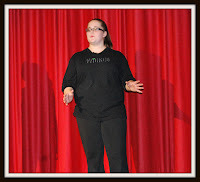 My daughter singing "In His Eyes from Jekyll and Hyde"
So...if you do ALL 6 of the above you will have a total of 20 entries to win Gloria's $20 Gift Certificate. Best of luck to all. Thanks for blogging in. Please join me tomorrow for Travel Tuesday. 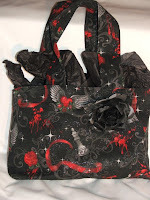 Today's Fantastic Feature is of a wonderful seller who has two amazing shops on Etsy, gloria~jean Designs and Giggle Rainbow. Giggle Rainbow was the first shop that Gloria opened here on Etsy. 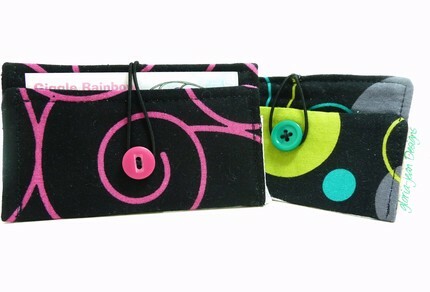 She says, "Creating, art, crafting and sewing have been a part of my life for as long as I can remember. 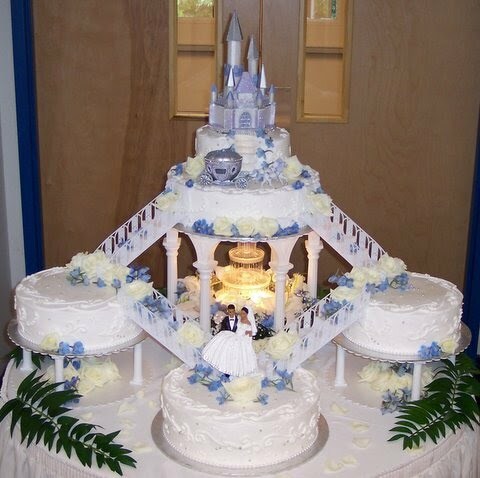 I have a passion for creating, I love to paint and sew, and I love interior design. Hubby thinks it might be a compulsion, he might be right. 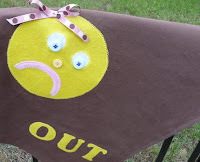 Is there such a thing as a compulsive crafter, painter, or designer? I am always thinking of new things to make or paint; a better way to organize this or that in a creative new way." "My first experience with sewing was making clothes for my dolls with only a needle, thread and a scrap of fabric. Then my Gramma gave me her old sewing machine, and my skill improved with every effort. I've moved on to a better machine, better fabric, and better results. 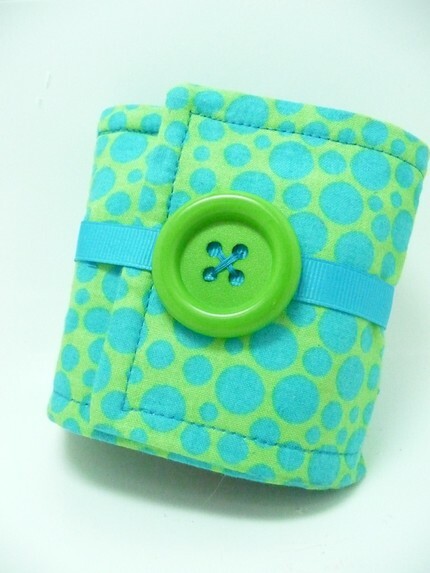 When I had my babies, my compulsion to create went into high gear I found that making baby clothing and accessories is one of my favorite creative outlets. I truly love to sew for babies. I hope you find something for your special baby as making these items brought me much joy; truly they are a labor of love." Just four months after opening Giggle Rainbow, Gloria opened gloria~jean Designs. 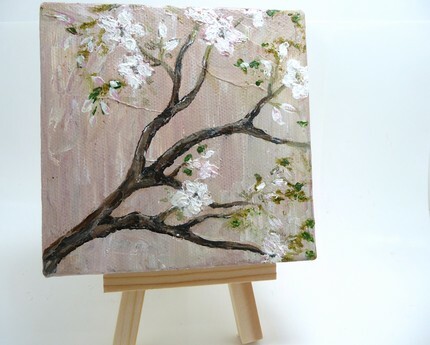 In this shop, she offers, "Artistic expressions for you and your home. 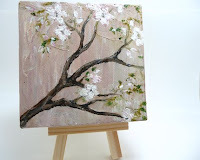 Original Paintings; Custom paintings; Creative Decor; and "Go Green" items for your home. 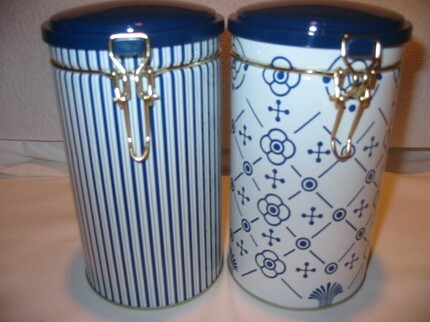 Artistically stylish and colorful accessories, bags, and organizational items for you. Made of 100% cotton fabric in a sparkly 'Twilight' inspired print. 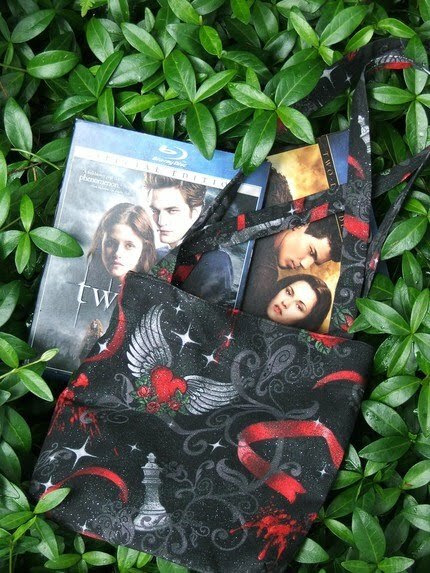 These totes are PERFECT for any 'Twilight' fan! Available in Small, Medium and Large Fan size. 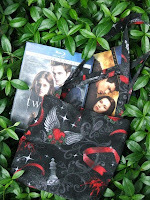 Please visit these lovely shops for your Twilight themed items. 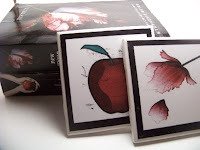 Would you like to see more, please visit my Twilight Themed Treasury: http://www.etsy.com/treasury_list.php?room_id=133098. Thanks so much for blogging in. Be sure to join me tomorrow for my Fantastic Feature Friday. 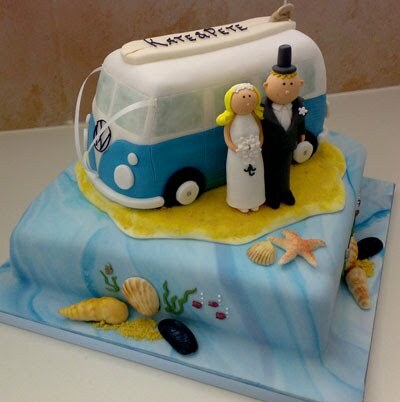 The perfect groom, the perfect dress and the perfect cake = the perfect wedding. 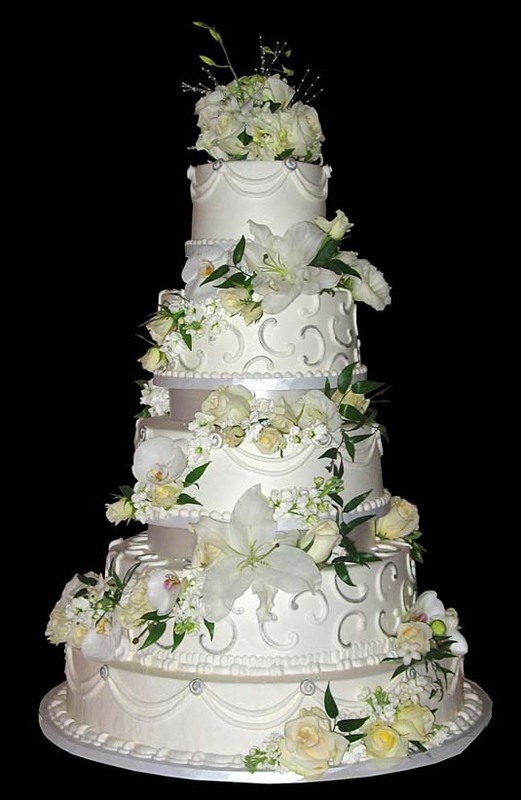 Whether you are having a themed wedding or something more classic, next to your dress and your groom, your cake becomes the centre of attention. 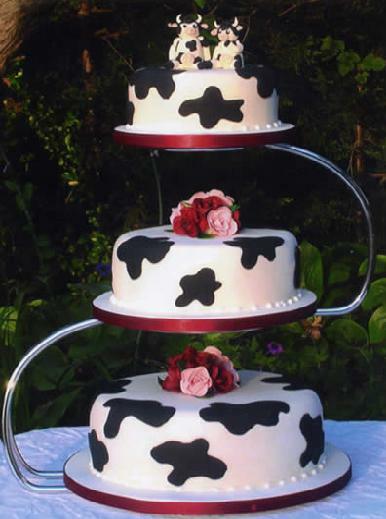 I thought it would be fun just to look at some wonderfully classic and outrageously unique cakes. Which one is your favourite? Thanks for blogging in and be sure to join me tomorrow for "Twilight Thursday". 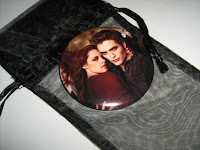 I have gone on a hunt for all you fans and will be showcasing Twilight themed items that can be found on Etsy. I know I usually post about far off places we dream of travelling to but this past week I had the pleasure of travelling with my daughter's broadway choir to Toronto to see some amazing broadway shows and I want to share them with you!! JERSEY BOYS is the story of Frankie Valli and The Four Seasons: Frankie Valli, Bob Gaudio, Tommy DeVito and Nick Massi. This is the story of how a group of blue-collar boys from the wrong side of the tracks became one of the biggest American pop music sensations of all time. Directed by two-time Tony Award® winner and Toronto native Des McAnuff, JERSEY BOYS is written by Academy Award winner Marshall Brickman and Rick Elice, with music by Bob Gaudio, lyrics by Bob Crewe and choreography by Sergio Trujillo, another Toronto native. 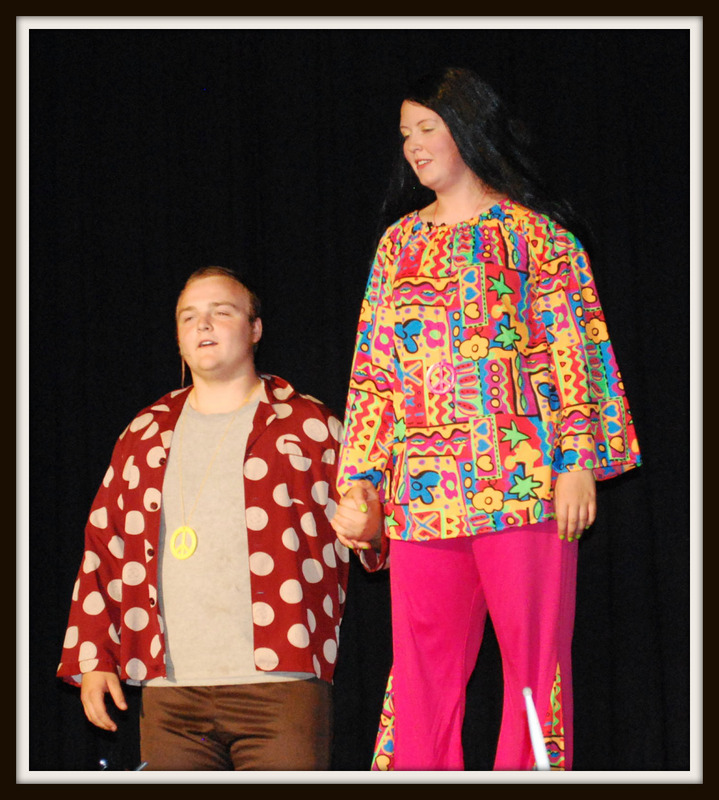 Our evening performance was "Mama Mia". It was during this amazingly fantastic show that I truly showed my age, lol. Just before the show, I was reading through the bios of the actors when I discovered that Matthew Ashford was performing in this show. I started acting like a teenager at an Elvis Presley concert! Of course, for those who don't know, Matthew Ashford is from the soap opera "Days of Our Lives". My grandmother was an avid watcher and I've been hooked since I began watching with her at the age of 10. It was so exciting to see him live on stage and about twenty feet in front of me. Anyways, the kids thought I was crazy and laughed at me wholeheartedly but I thought it was great!! MAMA MIA synopsis: Donna, an independent, single mother who owns a small hotel on an idyllic Greek island, is about to let go of Sophie, the spirited daughter she's raised alone. For Sophie's wedding, she has invited her two lifelong best girlfriends from her one-time band. But Sophie has secretly invited three guests of her own. On a quest to find the identity of her father, she brings three men from Donna's past back to the Aegean paradise they last visited 20 years earlier. Over 24 chaotic, magical hours, new love will bloom and old romances will be rekindled on this lush island, full of possibilities. 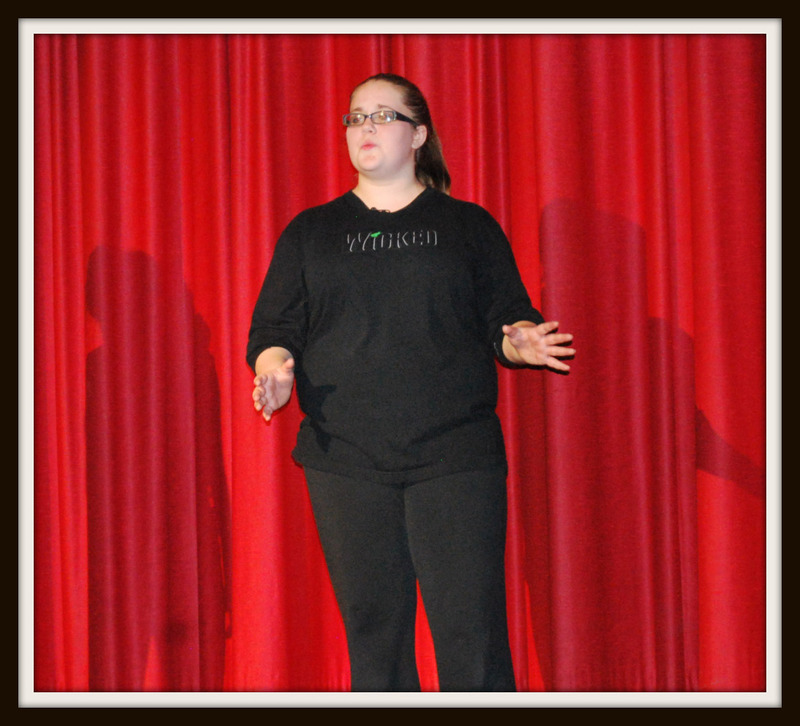 Inspired by the storytelling magic of ABBA's songs from Dancing Queen and S.O.S. to Money, Money, Money and Take a Chance on Me, MAMMA MIA! 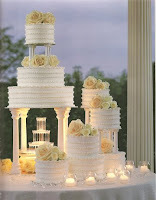 is a celebration of mothers and daughters, old friends and new family found. I have to say that this was an awesome experience with a wonderful group of people. I highly recommend seeing these shows, you will not be disappointed!! I also wanted to let you know that unfortunately I am not hosting a giveaway this week but I will be back to the weekly giveaways next week. Thank you so much for blogging in. 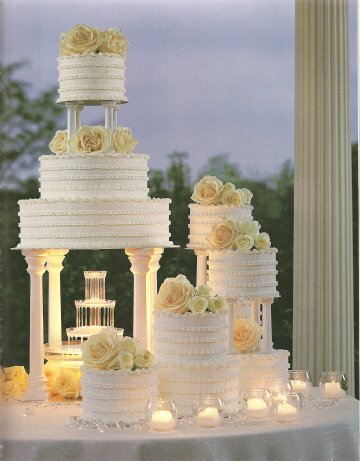 Please visit me tomorrow for "Wedding Wednesday". Today's Fantastic Feature is Scrap Happy Lyrebird. A wonderful new Etsian whom I have had the pleasure to come to know. 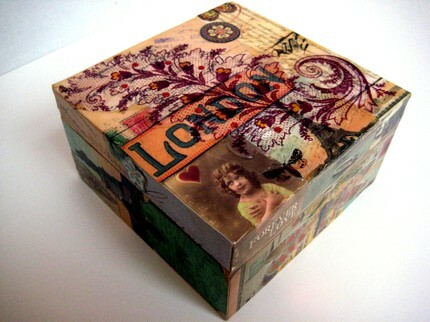 "I began decoupaging after I envisioned a special card box for my wedding, but couldn't find one anywhere. I covered an entire wood chest with vintage ephemera and fell in love with the process." 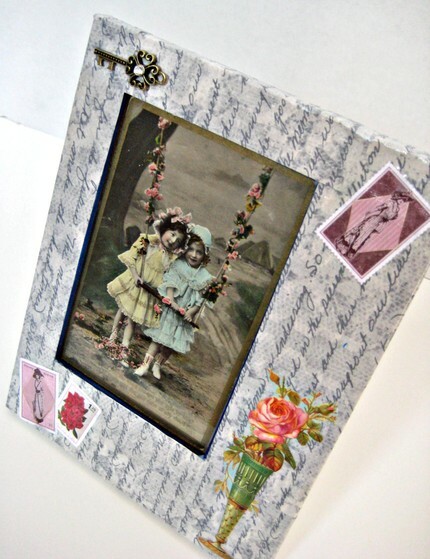 "My pieces are made with a mix of authentic vintage ephemera from my antiquing trips, scrap-booking materials, and odds and ends that strike my fancy from around the house. I spend a lot of time trying to evoke a certain feeling from the past with each of my pieces, and making sure that each little scrap adds its own unique quality." 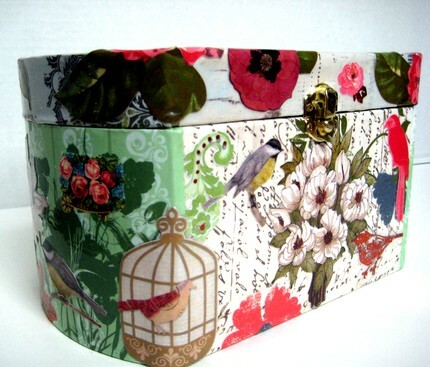 "I love decoupaging boxes in particular because of the endless possibilities they present; they can be secret hiding places for little treasures, repositories for love letters, or lovely presentations for a special gift." Please visit Tess at Scrap Happy Lyrebird, http://www.scraphappylyrebird.etsy.com. Today is also the day that I announce the winner of my weekly giveaway. Congratulations!! I hope you enjoy your "Sample Tea Chest" from Teaman. Thanks so much for blogging in this week. Please join me on Marvelous Monday to check out my new giveaway. I hope you all have a Fantastic Friday and fantastic weekend. I've changed my Thursday theme to "Twilight Thursday". 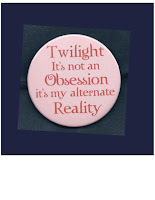 I am a huge Twilight fan and I know that many of you out there are as well. If there is anything you would like to know about or see regarding Twilight, please let me know by leaving your query or idea in the comments section. 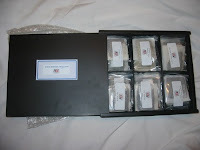 Please don't forget about my giveaway of Teaman's, http://www.teaman.etsy.com, "Tea Sampler Chest". Today is your last day to enter. Winner will be drawn at 12:01 a.m. and announced in my Fantastic Feature Friday blog. Teaman's Tea Sampler Chest is the perfect taster pack for the tea lover. This beautiful black lacquer wood tea chest contains 75 tea bags in 15 of the most popular flavors of tea: Peppermint, Blueberry and Blackberry, Mandarin Orange and Mango, Chai Black, Earl Grey, China Green, Strawberry, Citrus White, Vanilla, Apricot, Raspberry, Chamomile, Darjeeling/Ceylon, Apple/Cinnamon Spiced Green, and Orange Spice Green. So...if you do ALL 6 of the above you will have a total of 20 entries to win Teaman's "Tea Sampler Chest". Best of luck to all. Thanks for blogging in. I hope you all have a thrilling Thursday. Please be sure to blog in tommorrow for my Fantastic Feature Friday and the winner of Teaman's Sample Tea Chest. Yesterday, we travelled to paradise. 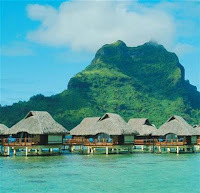 We explored Bora Bora Lagoon Resort & Maru Spa which is located on Bora Bora in the Polynesian Islands. During my wanderings I discovered that you can have a traditional Polynesian Wedding complete with all the trimmings. Imagine your marriage ceremony... the riveting sound of rhythmic drum beats echoing over the water, the savage cries of a warrior, the soft gestures of Polynesian girls dancing on the sand, and the strange incantations of the tahuia as he intones the ancient, sacred rites. The ceremony takes place on the main beach of the resort, which is decorated in the Tahitian manner. You will be prepared according to traditional Polynesian customs, wear typical Tahitian wedding attire, and you will each receive a Polynesian name. To continue the celebration of your special day, you will be escorted on a romantic sunset cruise, serenaded by traditional music, and will enjoy an intimate dinner in their Otemanu Restaurant in the evening. You take home with your wedding pareos, flower crowns and marriage certificate which, will forever remind you of your time in Bora Bora. Now, the only unfortunate part of all of this is that the Wedding Ceremony is not legally recognized and is thus regarded only as a "blessing". So, if you wish to honeymoon in Bora Bora and have some extra cash laying around after your big wedding you can fully partake of this luxurious culturalistic experience. 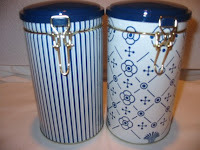 Please don't forget about my giveaway of Teaman's, http://www.teaman.etsy.com, "Tea Sampler Chest". So...if you do ALL 6 of the above you will have a total of 20 entries to win Teaman's "Tea Sampler Chest". AND...if you do ALL 6 everyday you will have a total of 80 entries, woo hoo!! Best of luck to all. Thanks for blogging in. I hope you all have a wonderful Wednesday. Please be sure to blog in tommorrow. I am going to start a new theme for Thursdays...."Twilight Thursday". 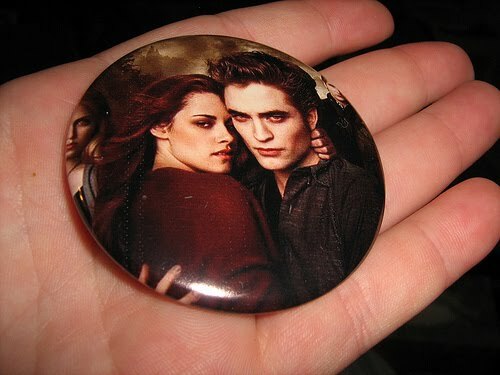 We are on the countdown to the opening of Eclipse so I thought we could have some fun with Twilight. Travel Tuesday is the day of dreams. Imagine that money is not an hinderance, where would you travel to. 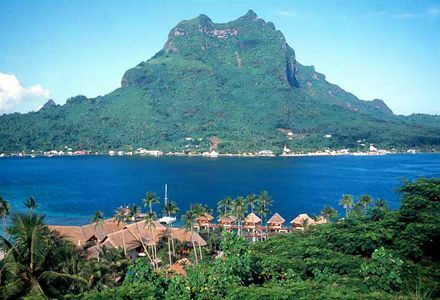 Today, let us fly off to the Maru Spa located in Bora Bora of the French Polynesian Islands. Discover the only treetop Spa in Polynesia, the Marù Spa welcomes you to this lush environment of the Bora Bora Lagoon Resort & Spa. Located on a secluded motu in the middle of the most beautiful lagoon in the world, it is situated on the beachfront, surrounded with exotic basins, waterfalls and gorgeous lilies, in a peaceful and serene decor marked with Polynesian wisdom. Masterfully designed with hardwood floors, bamboo and stone décor; high up in the midst of two giant Banyan trees are wooden cabins, containing hidden treatment rooms. Listen to the soft breeze of the wind passing through the leaves. A quartzite bath on the ground floor, welcomes you for a rich bath with coconut milk and fresh local flowers—a pure romantic relaxing moment. Our private independent suite offers a couple massage-rooms as well as a “rain shower,” for a traditional massage, a natural scrub or a vegetal wrap. Marù Spa’s Polynesian influence echoes throughout with their signature spa products created especially for guests of the Bora Bora Lagoon Resort and Spa. Locals have retained the knowledge of using plants, flowers and specific fruits, such as the Noni, for both medicinal and cosmetic purposes. The Tahitian recipes, like the Monoï oil, are known and used all around the world for their benefits to hair and skin. The mission at Marù Spa is to offer you an authentic and holistic Polynesian experience. Their therapists are influenced by Maohi culture and tradition; their aim is to meet your expectations and offer you renewal of your MIND, BODY and SOUL, whether alone, as a couple or a family. The resort has 44 Over-the-Water Bungalows lined along three walkways arrayed from the beach over the lagoon. Each bungalow is furnished with a king or two twin beds and a private deck from where steps lead directly into the lagoon. The beautiful underwater sea life can be admired or fed through the illuminated glass-topped coffee table. Each bungalow is built in the traditional Polynesian style with thatched roofs made from pandanus leaves. Inside it features, high-polished Yucca wood floors, Kaori wood walls, Kohu wood floor-to-ceiling louvers and timber blinds, authentic local-style furnishings, a two-meter couch in the living room, air conditioning, a bathroom with bathtub, separate shower and double basins, hairdryer, bathrobes, minibar, private safe, television, DVD player, tea & coffee making facilities, ceiling fan, direct dial phone and iron & iron board. And why not take advantage of their Canoe Breakfast delivered right to your private deck. A canoe outrigger, manned with Tahitian staff will set up this delightful breakfast of Coffe, Tea and/or Hot Chocolate; Fruits Platter; Pastries; Butter, Jam and Cheese; Scrambled Eggs; Fruit Juice and a 1/2 bottle of champagne. These and many other amenities await you at the Maru Spa where Polynesian service will make you feel welcomed and at home in their lush paradise. To experience a hint of this Polynesian wonder, I invite you to come by Ethereal Beginnings ( http://etherealbeginnings.etsy.com ) and pick up your jar of Tahitian Vanilla Body Butter. Paradise in a jar!! A complex, exotic fragrance. Rich and creamy nuances of vanilla with a hint of heavenly tropical flowers. 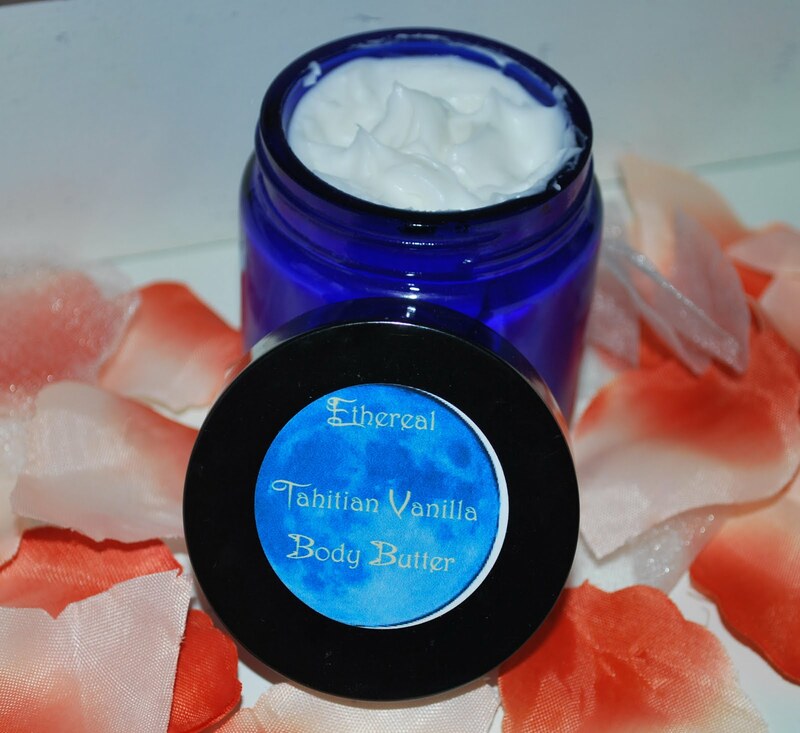 ( http://www.etsy.com/listing/46811489/body-butter-tahitian-vanilla-free ) for only $11.99 (free shipping)!! Thanks for blogging in. I hope you all have a great Tuesday filled with dreams come true. Tomorrow we will be going back to Bora Bora for a Polynesian Wedding on our Wedding Wednesday!! And what a Marvelous Monday it is!! I was so excited to get a message from Donna of DZ Fantasy, letting me know that she had featured me on her blog. She even interviewed me!! 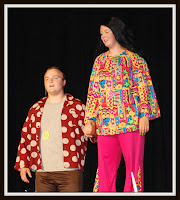 ;D I want to thank Donna for featuring me. She is a lovely etsian with a great heart. Please visit her blog at http://dzfantasy.blogspot.com/2010/05/featured-etsy-shop-ethereal.html. Another wonderful thing that happened to me this past weekend!! I am now an official member of the EGG (Etsy Goodie Goodies) Team. I am so excited to be a part of this team and there is a featured seller giveaway happening on our team blog. 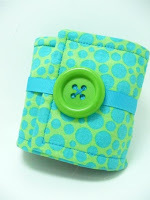 Please hop on over to enter to win, http://etsygoodiegoodiesteam.blogspot.com/. I'm also so excited to announce this week's giveaway. 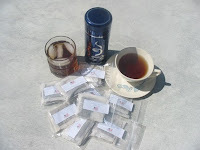 My Fantastic Feature Friday was Teaman, http://www.teaman.etsy.com, and I am pleased to be giving away his "Tea Sampler Chest". Thanks for blogging in. I hope you all have a Marvelous Monday. Come fly with me tomorrow for Travel Tuesday!! Happy Fantastic Friday!! Every Friday I feature a fantastic etsian. If you would like to be featured please convo me at http://www.etherealbeginnings.etsy.com/ or leave a comment here on my blog. "I am originally from Windsor, Ontario, Canada. I relocated to the US in 1996. I reside in the quaint little town of Howell, Michigan. I have a great wife, two wonderful daughters and a pug." "I take great pride in my tea products and feel that customer service is my top priority. 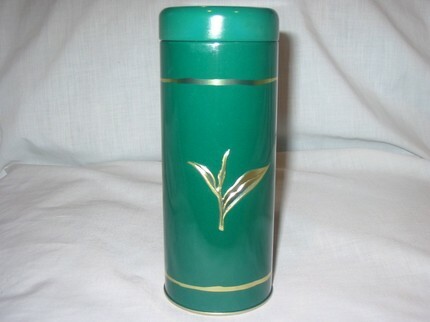 I have worked with the production and custom blending of tea for years and I am quite confident you will love my items. My tea is bagged with the highest quality tea paper providing great flow through ability yet prohibits product dispersion keeping its contents intact. Whether it is Assam, Ceylon, Kenyan, Chinese, Indian or Japanese, my teas are always fresh and are of the highest quality. 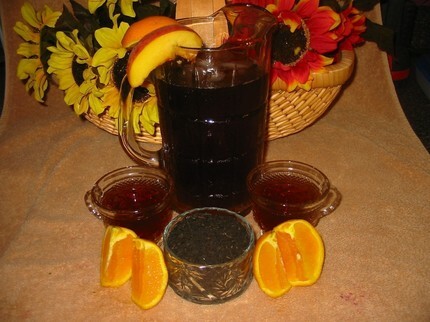 Hand blended with real fruit, spices, roots, or beans then enhanced by adding flavor flakes. A fairly unique process which sets my teas apart. It is like flavor crystals that enhance the flavors of the fruit and spices. Along the lines of flavor crystals when added to chewing gum. The crystals flavor is dispersed with the addition of boiling water filling your cup with robust flavor!" Tim says, "Tea really is the best thing you can put in your body! I invite you to take a minute and read some healthy facts about tea. A cure for most ailments and a step in the right direction for anyone looking to cut their caffeine intake or rid their diet of sodas. Also helps reduce wrinkles! "Don't forget most of my teas can be enjoyed iced as well. Follow the same method as if you were making hot tea, using approx. 5 teabags for a gallon pitcher. Add boiling water to teabags and let cool. 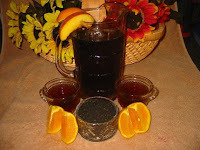 After cooled, remove teabags and pour into individual serving, then add sweetener, stir and add ice." Teaman offers over 35 varieties of teas and they are beautifully packaged in a variety of ways. 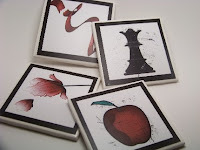 Please visit Tim's shop at http://www.teaman.etsy.com . He is offering some amazing deals starting at $1, $2, and $3. So, come on over and have a cup of tea. And the winner of this week's giveaway is......ScrapHappyLyreBird......hope you enjoy shopping with your $20 Gift Certificate!! Thanks so much everyone for blogging in. Be sure to come see me on Marvelous Monday for the start of a new week and a new giveaway!! It's going to be marvelous so don't miss out! !